New Products, Discounts and a Sweet Contest! Here is your opportunity to win a IP Web Camera valued at $100. There are two available prizes to be won. To enter the contest follow the link below to go to the contest page. Check out the product page to see more details and specifications. This contest is open to legal residents of Canada and the United States and is void where prohibited by law. Entries will be accepted online starting on or about Thursday May 28th 2015 and ending Wednesday June 3rd 2015. All online entries must be received by Wednesday June 3rd 2015 11:59PM EST. The Contest must be entered by submitting an entry using the online form provided on this contest page. School is almost over. That means summer time, play time and most importantly learning time. 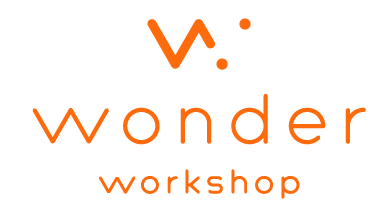 For a limited time (2 DAYS ONLY) Wonder Workshops Dash and Dot will be 30% off. There are some pretty amazing learning opportunities with the Dash and Dot. BuyaPi.ca is now an official reseller of PrintrBot 3D Printers. These printers are well made, and priced right. Starting out as a kickstarter project, PrintrBot is a go-to option for many makers and DIYers looking for a reliable 3D Printer. Along with the printers itself, BuyaPi.ca is also suppling filiment and accessories.